Unisex Senseous Neoprene Black Gloves 12"
यूनिसेक्स सेंसस नियोप्रीन ब्लैक दस्ताने 12 "
Being a customer oriented organization, we are deeply engaged in offering a wide array of Industrial Hand Gloves. 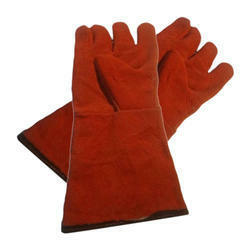 Rubber Gloves Orange (ce Certified) Rs 35/Nos. 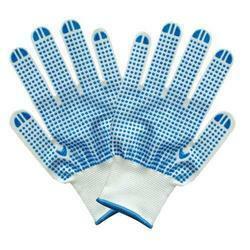 Dotted hand gloves with fine indian dotted.